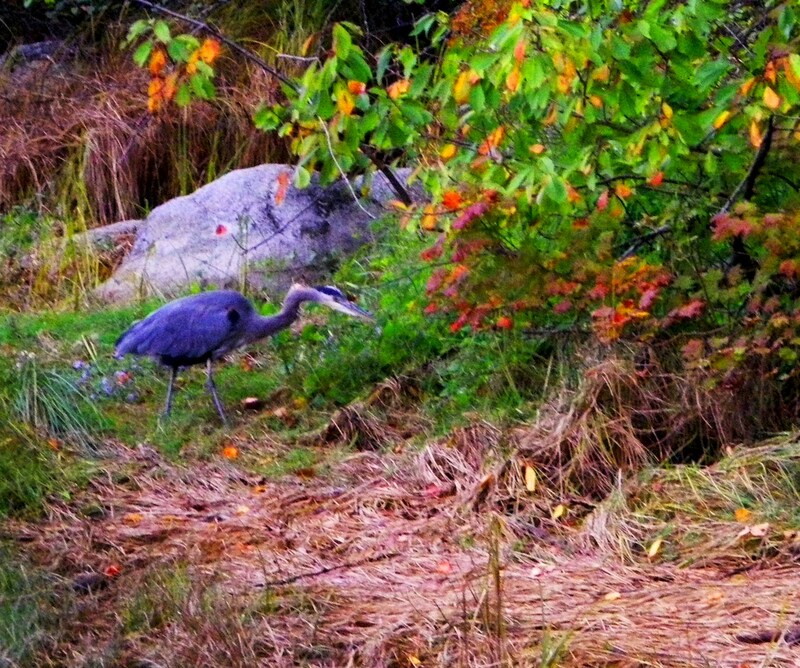 Here come the herons – great blues! 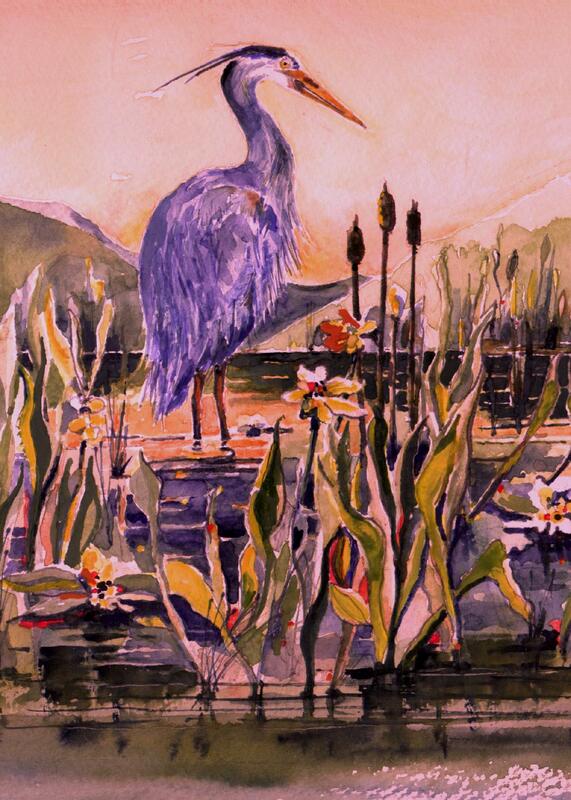 Here are a few photos and arts from my heron collection – these look kind of like pterodactyls (sp) though I’ve never seen one, they definitely sound like monsters with colds, and how they get up and away is amazing, so ungainly, scruffy and clumsy, but cute too…. An unusual sight, heron chasing after frog, they are most often seen knee-deep in water poised for a chance to spear little fish. These three baby blues were balancing by lost lagoon in Stanley Park. 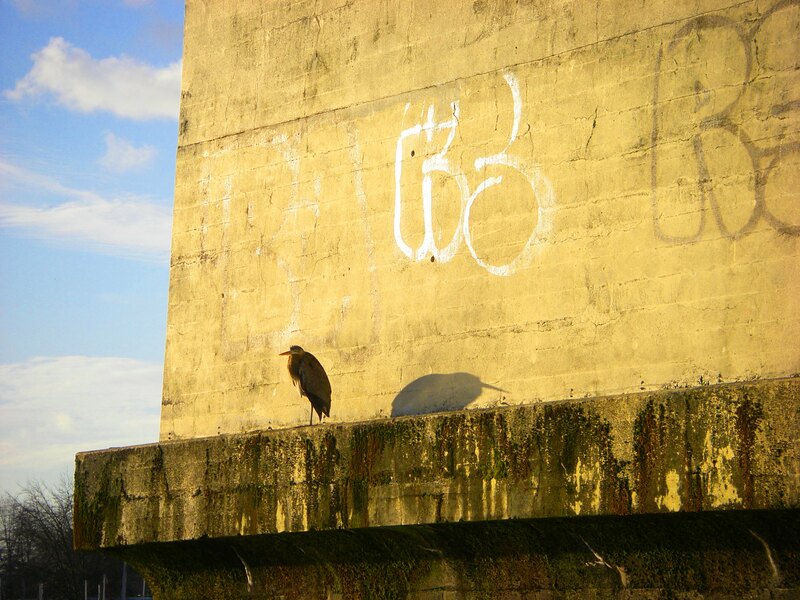 Heron named lanky ‘suntanning’ on a cold day by the Burrard Bridge along the Vancouver seawall.